Recently we have come across a new issue with the Microsoft Dynamics 365 for Outlook app. 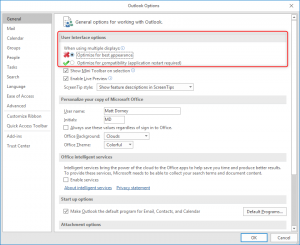 Due to a summer update (August Office Insider Update) certain settings will prevent the add-in from displaying the tracking details pane, which is normally found at the bottom of your Outlook window when viewing tracked emails. Here are some steps for identifying and resolving this issue. Now that the issue is identified, this can be fixed by changing a setting in the Options menu. To access this setting click on File > Options. The setting we are interested in is under General > User Interface options. Currently the active setting will be “Optimize for best appearance”. Selecting the alternative “Optimize for compatibility” will resolve the issue. 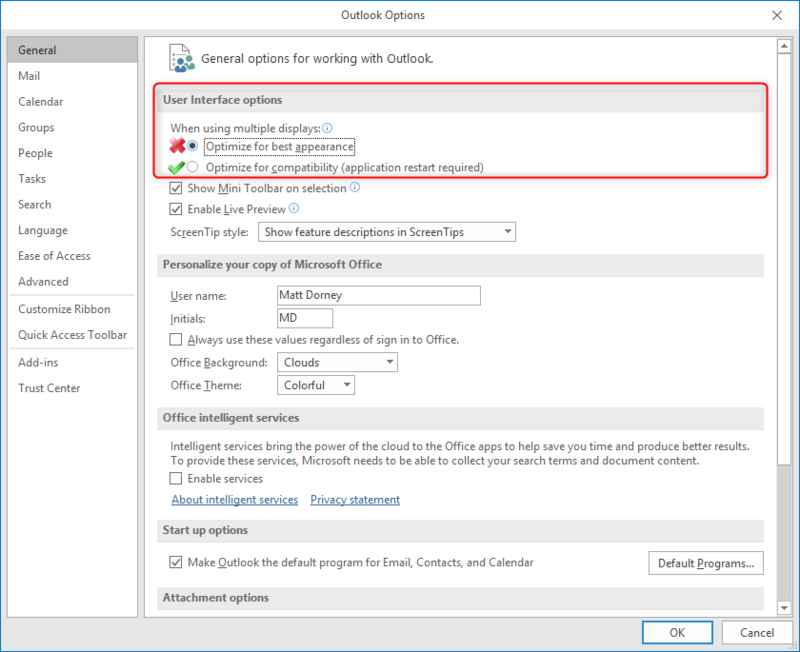 Within the red box, you’ll note a red “x” by the option that causes the issue, and a green check signifying the option that will solve the issue when selected. Note: A restart is required for this option to take effect. Ensure you have saved your work and closed any active drafts before restarting. After restarting you can view a tracked email again, this time to ensure that the functionality of our tracking details pane has returned. I have included a sample of what the tracking details pane looks like when functioning as intended. When you see this kind of detail, you have resolved the issue! 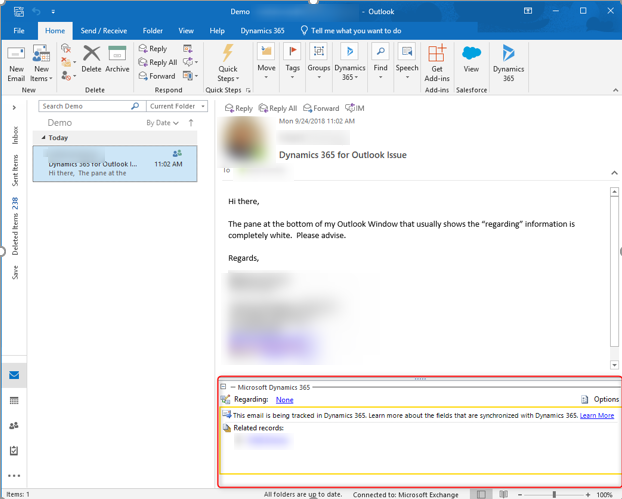 Note: This issue occurs with Microsoft Dynamics CRM for Outlook 2013, 2015 and 2016 and can be resolved the same way. 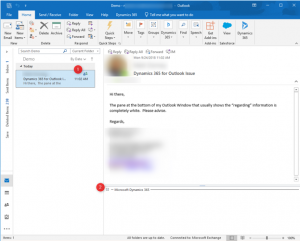 If you have any challenges with your CRM or your CRM-Outlook integration, our experts at TopLine Results will be glad to help. We pride ourselves in our customer service. Check us out at 1-800-880-1960 or info@toplineresults.com. You’ll be glad you did!